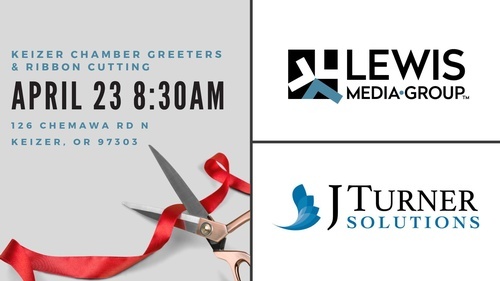 Our host for Greeters on April 23rd will be a special Ribbon Cutting and dual Greeters event hosted by Lewis Media Group in conjunction with J Turner Solutions. They will be talking about their new space and the collaboration between J Turner Solutions and Lewis Media Group. Join us to network with fellow members and guests and be sure to bring plenty of business cards and a door prize for added exposure. Free networking event for Keizer Chamber members and guests. We welcome all guests to attend up to two of our events before we request that they join in order to continue to enjoy this popular benefit of membership with our Chamber.